Today I'm taking part in another blog tour, and I'm so excited to share this book with you guys! Not only is it AMAZING, but it's authored by Kate Emmons from The Goodness Revolt! I'm doing an interview with her here today, and... the book is out. Like, literally came out TODAY. But I'm getting ahead of myself. xD Here's a peek at The Blood Race. Born with unexplainable abilities he struggles to control, college student Ion tries desperately to integrate into his new school and finally put his dark past behind him. But after making a serious enemy, which leads to an accidental rendezvous with the mysterious old man next door— and his hauntingly beautiful but troubled young protégée Hawk, Ion realizes his life will never be normal again. Late one evening, Hawk drags him by the hand into a closet-turned-rabbit-hole to an extra dimension, and Ion finds himself stumbling involuntarily into a secret society of training for “anomalies,” teenagers with a special set of abilities. Just like him. As they train to become Protectors of future Earth, battling each other as well as their own demons, both Ion and Hawk begin to realize that they are far more alike than they realized. Unsettlingly so. When the Dimension is shaken by an unthinkable betrayal, will an ancient prophecy bring Hawk and Ion together—or will a deadly threat hidden in plain sight cost them both their powers… and their lives? When she’s not hermiting away in her colorfully-painted home office writing her next science fiction, passionate story-teller and adventurer Kate Emmons is probably on the road for a surf or hiking trip, listening to vinyls, or going for a power run. Emmons lives in the often-snowy hills of rugged Vermont with her husband and dog named Rocket. It's great to have you here, Kate! 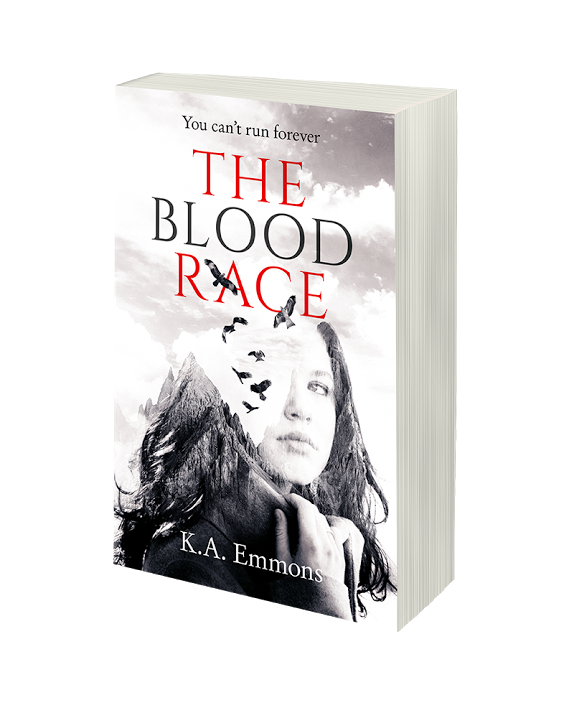 What first sparked the idea for The Blood Race? The idea that we are powerful; warriors beneath the skin. The fact that we are all more than we seem, and capable of SO much more than we assume. Finding our own identity… and discovering that who we really are is powerful. That’s the story’s backbone. I love that so much! It's deep and... incredible. The theme of the novel might have hit me harder than it did the characters xD Speaking of them, which character do you relate to the most? Hawk, all the way. Hawk is fire and a true born fighter - but she still wrestles with her fair share of demons. 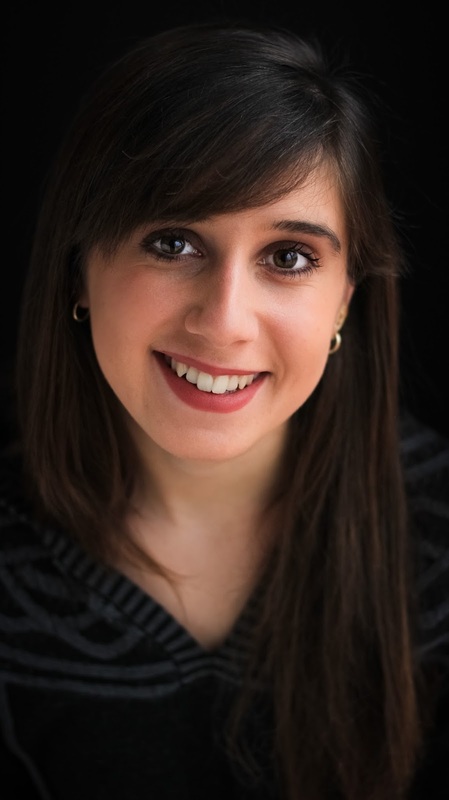 While some of the issues she deals with are not what I, or many other young women face necessarily, we all have our own demons to defeat, and I feel that her search for security and identity is something a heck of a lot of us can relate to in today’s world. We’re constantly bombarded with messages that seem to pull us in every direction. What we crave is a sense of knowing who we are… Hawk’s thirst for that, [and her all-around boss personality] is something that resonates deep. *nods* I could feel that myself. She was a huge inspiration. Now what was the hardest part of writing the novel? Such as uncooperative characters, plot bunnies out of control, and stuff like that? Bringing the fun to technical aspects. Sure, I had fun writing the thrilling car chases, fight scenes, and romantic climaxes… but then there were things like very technical council meetings. And sometimes the hardest part would be stepping back and waiting for that fresh perspective to bring the yumminess to even the nitty-gritty technical aspects of the story. Yes, it must have been a huge change of pace to go from writing council meetings to car chases! What was the most fun part of writing the novel though? Oh, gosh-- so many. I love writing dialogue between Hawk and Sensei, I love writing (and learning from) Sensei’s wise words. The back and forth banter between Hawk and Ion, and of course, her adventures with the resident sweet Irish guy, Fin. Particularly, chapter nineteen stands out to me. That chapter was a TON of fun to write. I remember the evening I wrote it super distinctly… it was non-stop typing for hours and just feeling super energized the more I wrote. It’s the best feeling you can have as a writer - to be PUMPED UP for the story you’re writing. I totally can relate to that! It's like you're flying and nothing can stop you. Now who or what was your biggest source of encouragement? My sister Abbie, for sure. We’re two and a half years apart, completely inseparable, and we grew up writing together. Abbie is a total multitalent (a singer/songwriter, musician, writer, and cinematography junkie). We’re constantly bouncing ideas off of each other, helping each other out with our art careers, and brainstorming over cups of tea. Whenever I feel stuck, she’s my go-to. That's so awesome that your sister is your writing buddy! I have one last question for you: what was something you learned from writing the novel? On a more surface level - that I love the world I’ve built, and the chaotic band of characters that call it home. On a deeper level - that we all have a warrior within us; that we have unlimited potential hiding just beneath our skin. That we are our only limiters. And that we cannot find fulfillment in a person…“the other half”... but that our creator has already given us that fulfillment - and it comes from within, not from things around us. *flails* That's SO deep and beautiful. *wants to pin this up on her wall* Those are all my questions. Thank you so much for answering them, Kate! 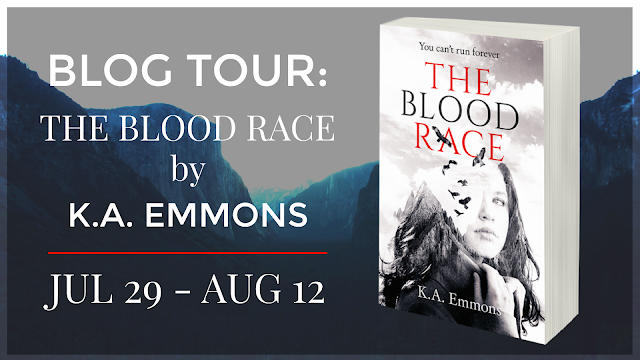 The blog tour is going through the 12th, so be sure to keep an eye out for more posts on The Blood Race. You can also check it out on Kate's website. p.s. I'll be back on Saturday with a Realm Makers wrap-up! Are you going to check out The Blood Race? Did that quote from Sensei completely blow you away too? I've read the ARC and do have to admit it is pretty good for a debut novel! This sounds so amazing. With each tour post I read about it, I want to read the book more! Thanks for sharing, Audrey! I have the paperback in my cart on amazon already. I have a gift card. I'm also hoping to get The Girl Who Sees. *Jumps up and down excitedly* I have to pay a little out of pocket since free shipping is $25 and guess how much more I need. 2 CENTS! 2 STINKIN CENTS! Lol, anyway, I can't wait to read them. The Blood Race looks so good. Oooh, cool! I'll definitely go take a peek. Thanks for letting me know!